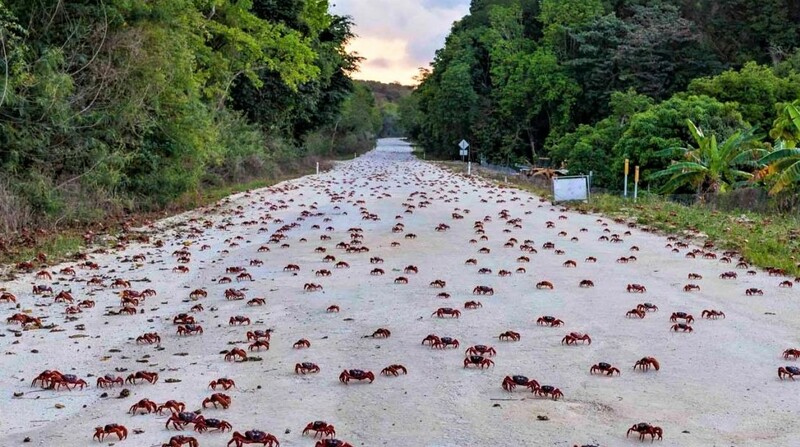 Millions upon millions of Red Crabs take to the streets in Christmas Island, Australia as part of their migration for the breeding season every October/November each year. The crab’s journey from the forest to the sea during the beginning of the wet season when the conditions are moist and suitable for their survival on the road. Upon reaching the sea, the crabs mate and release their eggs into the sea. After a few weeks, when the eggs have hatched, they make a long return journey back to the forests along with their tiny, new younglings. Besides being synchronized island-wide, the time of breeding is also linked to the phases of the moon. The crabs make their way to shore in time for the last quarter moon, when the females are to release their eggs into the sea. Faithful to the lunar rhythm, the migration lasts up to 18 days, with movements peaking in the early morning and late afternoon, when it is cooler and there is more shade. If a crab is stuck in a hot, unshaded area, it loses body moisture and dies. 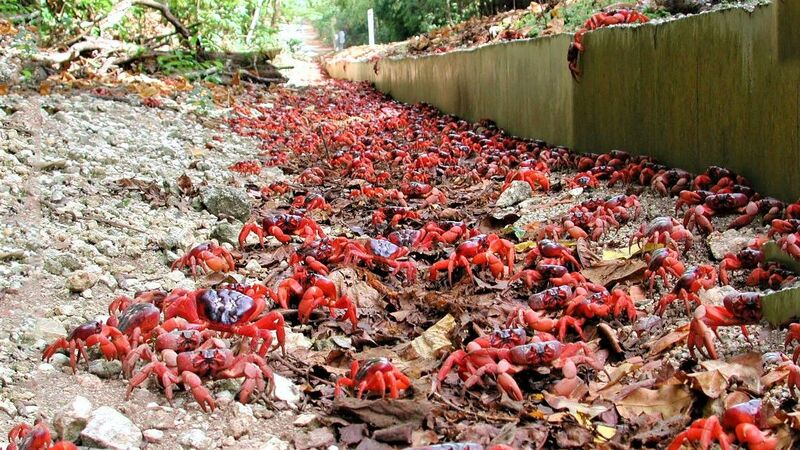 The Red Crab migration has become a tourist attraction on Christmas Island. 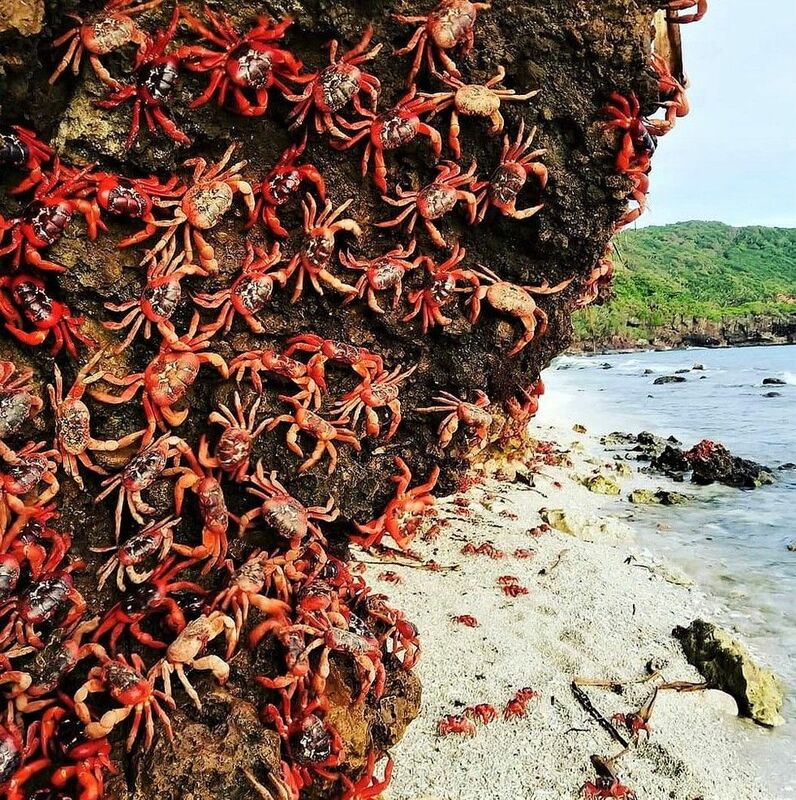 Conservation groups and offices have devised means to protect the crabs from human interference as they make their way to the sea. 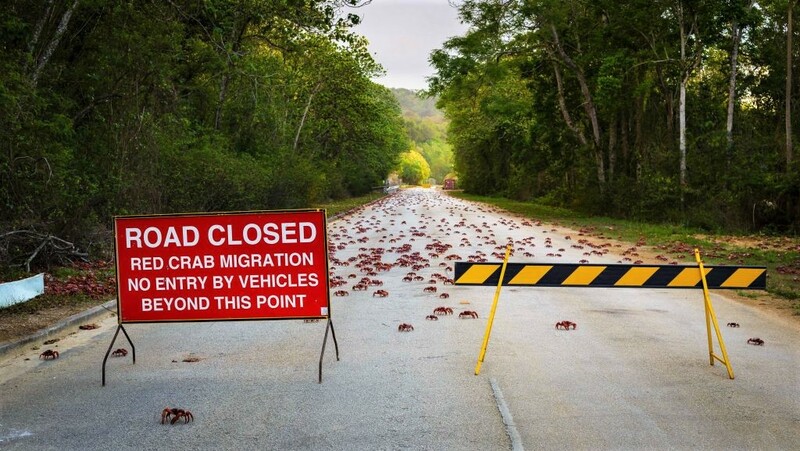 Roadblocks have been put up, roadsides have little walls built on them, and special bridges and tunnels have been erected just for the crabs.